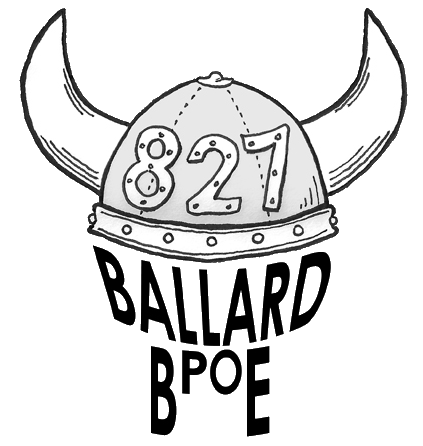 Welcome to the Ballard Elks Lodge #827 website! Please feel free to explore the site and learn more about our lodge, events and activities, and how to become a member. The mission of the Benevolent and Protective Order of Elks of the U.S.A. is: To inculcate the principles of Charity, Justice, Brotherly Love and Fidelity; to recognize a belief in God; to promote the welfare and enhance the happiness of its Members; to quicken the spirit of American patriotism; to cultivate good fellowship; to perpetuate itself as a fraternal organization, and to provide for its government, the Benevolent and Protective Order of Elks of the United States of America will serve the people and communities through benevolent programs, demonstrating that Elks Care and Elks Share.